Welcome to MYTF's home on the web! 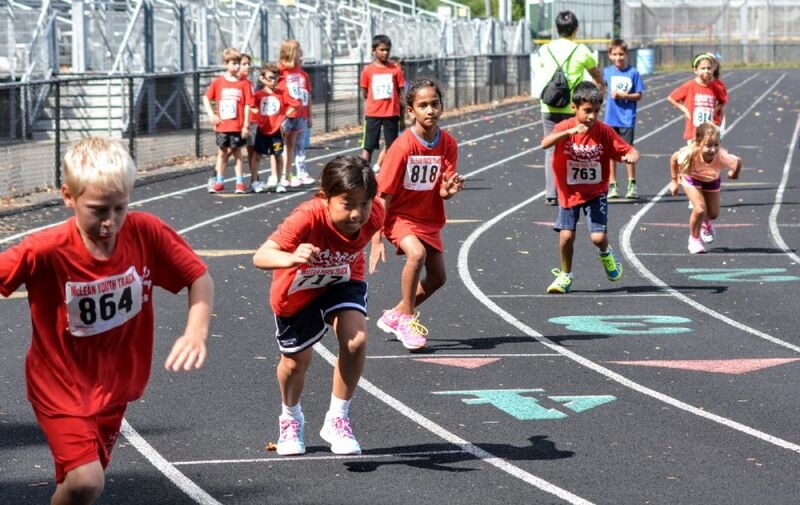 McLean Youth Track and Field (MYTF) provides opportunities for kids ages 5 through 8th Grade to develop skills in track, field and cross-country events. Our goal is to help kids develop an appreciation for the sport, gain respect for sportsmanship and have opportunities to push themselves at their own pace. We focus on "in-house/intra-team" events and encourage all of our athletes to strive for personal improvement. MYTF is a diverse, inclusive program for all children, regardless of race, color, ethnicity, gender identification, ability (mental or physical), religion, national origin, financial circumstance, or sexual orientation. MYTF athletes compete according to the gender which with they identify, may use physical adaptive equipment not otherwise prohibited by the facility, and may wear (properly secured) garments consistent with their religious observances. We welcome ALL children and their families, and we cheer for everyone! Registration for our Spring 2019 season is closed. We reached our capacity and are unable to add any additional kids. If you would like information on our Fall 2019 season, please email us at mcleanyouthtrack@gmail.com. We will gladly add you to the registration information distribution list. MYTF is a proud member sport of the greater McLean Youth Athletics (MYA) organization. MYA offers numerous other sports in the area in addition to our Track program, and we highly encourage everyone to visit their website and see what's going on in youth athletics in and around McLean!